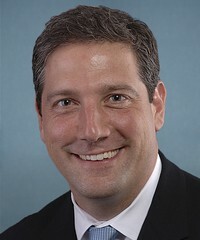 A new interview with Congressmen Tim Ryan, sponsor of the Gluten in Medication Disclosure Act of 2015, reveals what consumers can do to help get the bill passed in Congress. Ryan was also the sponsor of the former Gluten in Medication Identification Act of 2012, which died in committee. The congressman from Ohio has a personal connection to the bill. His wife has a “gluten-related disorder,” Ryan says. “With medication, lots of times you don’t know what’s in it,” he told the NCFA. Getting the Gluten in Medication Disclosure Act passed will require some help from gluten-free consumers. The bill is currently assigned to the Health subcommittee of the House Committee on Energy and Commerce. In order for the bill to be voted upon, the subcommittee needs to hold a hearing on the bill. Then consumers can start contacting their members of Congress on that committee to lobby them to hold a hearing on the bill. These members “can ask the chairman to hold a hearing on the bill, pass the bill, and get it out of committee,” Ryan says. Lobbying shouldn’t be a “dirty word,” the congressman says. “A lot of people think that ‘lobbyist’ is a dirty word, but everybody’s a lobbyist. For average people to come down and lobby on behalf of any issue is important. They are Americans and they have the right to petition their government,” Ryan says in the interview. For readers interested in helping to get a hearing for the bill, you can find members of the Health subcommittee here. If your state and region is listed, you can easily contact the House representatives by clicking on a member’s name. For example, the committee chairman, Joseph Pitts from Pennsylvania’s 16th district, can be found here. To read the full interview with Congressman Ryan, visit the NFCA’S website.